Due to Hurricane Florence the Ladies Celebration is now rescheduled for October 27th, 2018 from 9:30 am - 4:00pm. Our key note speaker Trish McCoy will still be able to be with us. If you are already registered there is no need for you to re-register. If you are registered and cannot make it on October 27th we will provide you with a voucher for next year’s Ladies Celebration which is scheduled right now for September 21st, 2019. Cutoff for notifying the church concerning your absence must be by Monday October 15th, 2018. 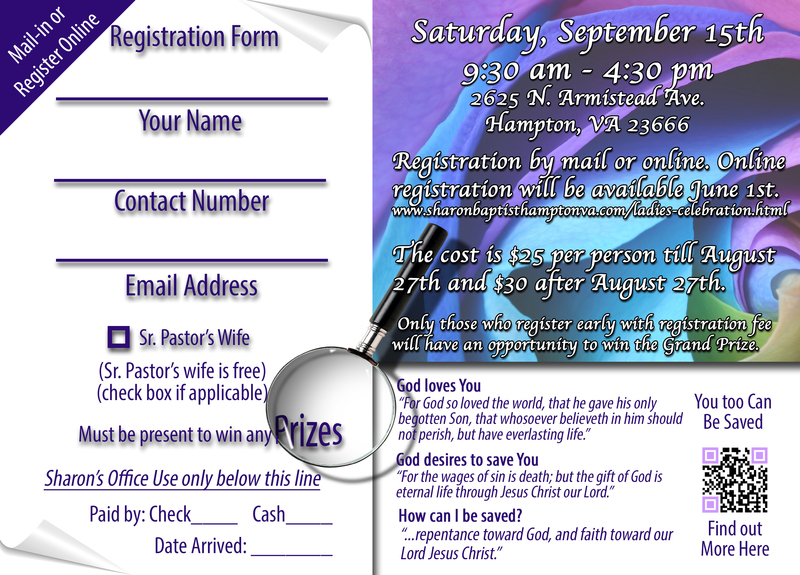 You may contact the church office by calling (757)838-0340 or email us at churchoffice@sharonbaptisthamptonva.com. Feel free to call us if you have any additional questions. We will be accepting new registrations up until the Wednesday October 24th, 2018. Cost is still $30. Please help us pass the word along. 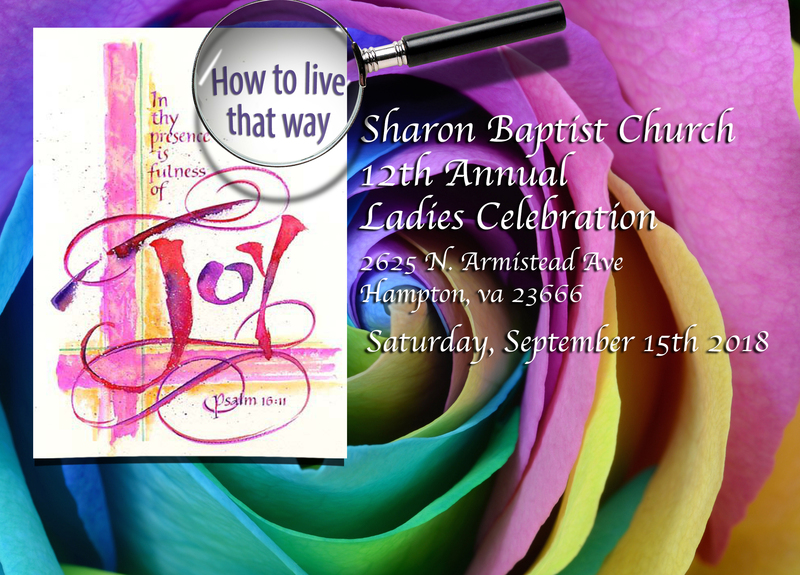 Ladies Celebration 2018 - This year theme is "In thy Presence is fulness of Joy: How to live that way" which is based on Psalm 16:11 "Thou wilt shew me the path of life: in thy presence is fulness of joy; at thy right hand there are pleasures for evermore." Trish McCoy was saved at the age of four. She is the wife of David McCoy, pastor of Peoples Baptist Church in Atlanta. She says of her role as pastor’s wife, “It is my privilege to minister to the one who ministers to others.” She assists her husband in the day-to-day operations of their ministry. Trish taught high school English and business classes for seventeen years. She presently serves as a high school adviser, academic supervisor, and counselor. 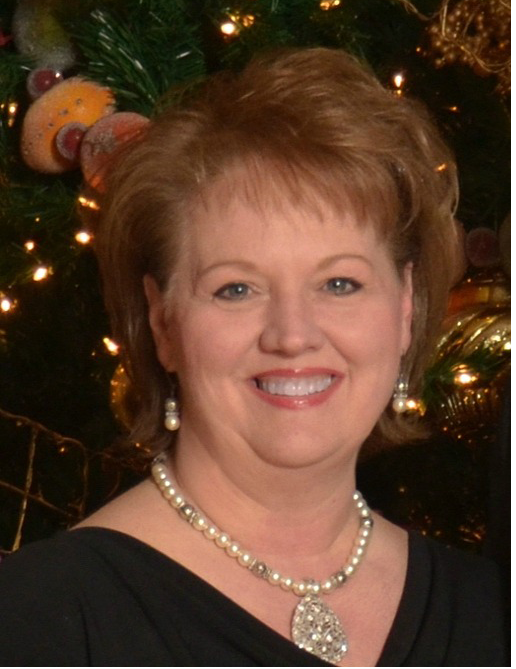 She has written many lessons for ladies, taught a ladies’ Sunday School class for many years, conducts a weekly ladies’ morning Bible study, and travels extensively with her husband conducting family seminars. Please indicate whether you are a Senior Pastor's Wife. If you are a Pastor's Wife, but not the Senior's Pastors wife please indicate that in the comment box below. Please select a method of Payment. If paying online, use the Pay Online button below.